Unflinchingly unique Costume jewellery, that marries old world aesthetic with new world fashion. Nine Vice studio takes its name from the Indian concept of the 'Navarasa'. We are about redefining vintage Costume jewellery and we carry that ethos while creating meticulously detailed and impeccably crafted wearable works of art. Most of all, Nine Vice is about indulging You in the experience of being You. 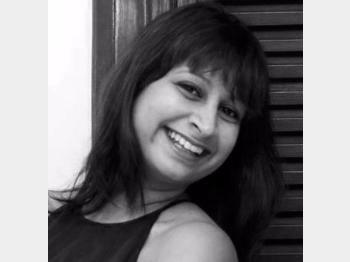 Anvita, an alumnus of the National Institute of Fashion Technology (NIFT), has spent over a decade in the precious jewellery industry. Her design philosophy stems from the thought that jewellery is not just the ornamentation of your attire, but the one element that adds character, that speaks for You. She believes Art is the ultimate expression of one's inner self, and adds dimensions of beauty to everything it touches. Therefore, she likes to draw her inspiration from various forms of arts & crafts and pays homage to them through her work. Your order will be shipped via courier within 5-6 working days, and we will send you the tracking details. Most orders are delivered within 7 to 10 working days. We are not responsible for any delays caused by natural calamities or any other unavoidable circumstances. In case a piece is 'Made to Order' (will be mentioned in product details), it will be shipped to you in 1-2 weeks. Your order cannot be cancelled once it is dispatched and in transit. Please do no accept the shipment if it appears damaged or tampered with, as we ensure that all shipments are packed securely. Do send us a picture, shipping reference number and order details of the same to look into the matter immediately. All our products are hand-crafted, which can result in minor differences in pieces. We strive to show you pictures closest to reality. Please review pictures carefully before making any purchase. Once sold, products cannot be returned, except in case of - a manufacturing defect - wrong product delivered - damage to product in transit. In the rare event of any of the above issues, please contact us within 48 hrs from the time of delivery, along with the picture of the wrong/defective product. We are not liable to return if we are not informed within 2 days of delivery. Once approved for return, we will communicate the return details to you. Please send the product back to us and we will send you a replacement piece at the earliest. - Please store your Jewellery in the boxes provided. This will protect the metal from moisture that causes tarnishing and will keep the delicate jewel safe from accidents. - Avoid direct contact with Perfumes, Lotions, Oils and other sprays. We recommend that the jewel is the last thing you put on.